H2Geomatics Corporation is certified Small Business (SB) and Disabled Veteran Business Enterprise (DVBE) with the State of California, formed in 2013. The Corporation was founded by Floyd Huber, formerly of Huber & Associates and Steven Heise, formely of Geomatics Engineering Inc., with a combined Land Surveying history of over 60 years. 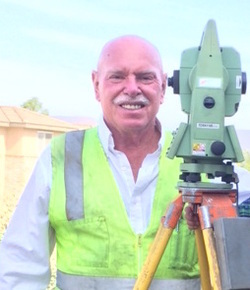 Our staff includes the current President of the San Diego Chapter of the California Land Surveyor Association and an instructor for the Land Surveyor Review Program taught at the CalTrans District 8 Headquarters. understanding of the demands required to complete projects and tasks on time and accurately. We employ extensive QA/QC measures to insure our work is correct each and every time.